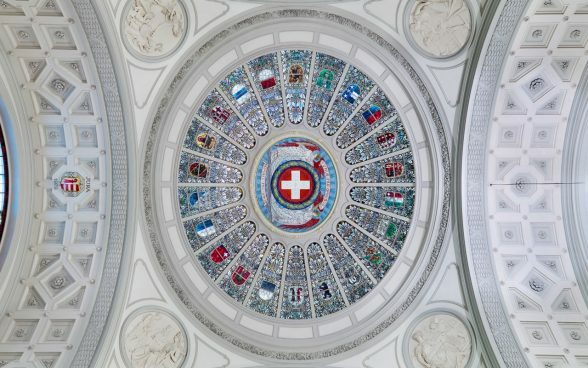 The Swiss Security Network is a central element of the 2010 Security Policy Report of the Federal Council. Confederation and cantons have agreed on consolidating the security policy issues together. They are equally represented in the bodies of the Swiss Security Network. In its 2010 Security Policy Report the Federal Council sketches a Swiss security network that has since been realised, evaluated and accordingly adjusted. Basically the Swiss Security Network (SSN) comprises all federal, cantonal and communal security policy instruments. Its bodies (operational and political platform) serve for consultation on and coordination of decisions, means and measures of Confederation and cantons regarding common challenges. The focus is therefore on inner security; Here we have a greater need for coordination than for external security for which the Confederation is responsible. The bodies of the Swiss Security Network serve primarily to negotiate when coordination along hierarchical lines is unsatisfactory or suitable vessels for coordination are lacking. The Confederation and the cantons each finance half of the Swiss Security Network branch. By means of an administrative agreement Confederation and cantons regulate the tasks of the various bodies and how the security network is financed.